Embodied awareness for dancers, actors, artists and yogis. Rolfing Structural Integration is a form of hands-on manipulation and movement education developed by Dr. Ida P. Rolf over 50 years ago. It works on the web-like network of connective tissues, called fascia, to release, realign and balance the whole body, potentially resolving discomfort, reducing compensations and alleviating pain. Rolfing aims to restore flexibility, revitalize your energy and leave you feeling more comfortable in your body. Rolfing Structural Integration is also an excellent foundation for and complement to yoga, pilates and other personal wellness practices. 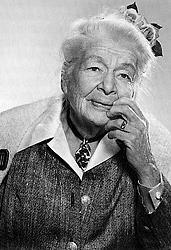 Dr. Ida Rolf pioneered the highly skilled technique of manipulating the body’s connective tissues in order to release stress patterns within the human form. This leads to improved posture and facilitates the greatest ease of movement each individual can achieve. “When the body gets working appropriately, the force of gravity can flow through. How is Rolfing different from other techniques? In most Massage techniques we seek treatment for a particular issue and the practitioner will address the symptoms which we present. These corrective practices over look the way the whole body is integrated in gravity and how a local intervention has an effect on the entire system. Over the years Rolfing has developed this Integrative approach to include the importance and understanding of how the structural organisation of the body effects its function (how we move), movement patterns and emotional trauma. Within the process of the 10 sessions a Rolfer and client may work to release trauma, suppressed emotions and limiting world views. The hallmark of Rolfing Structural Integration is a standardised “recipe” known as the Ten-Series, the goal of which is to systematically balance and optimize both the structure (shape) and function (movement) of the entire body over the course of ten Rolfing sessions. A Rolfer will educate a client throughout the process to produce an enhanced understanding of how the body relates harmoniously to gravity. After completing the ten series with a Certified Rolfer a client can expect a more wholesome relationship with their body, better posture and more graceful movement. The understanding and education that the process creates can allow the client a deeper experience of themselves. It can create more capacity to act to the best of their ability. Both The European Rolfing Association (ERA) in Munich and The Rolf Institute in Colorado have research units. Dr Robert Schleip who is Research Director at ERA has been awarded with the Vladimir-Janda-Award for muscolo-skeletal medicine in Leipzig, Germany. For more information on research or about Rolfing generally you can visit the Rolf Institute’s website or the European Rolfing Institute’s website.